When trying to decide on a wedding venue, anything goes. Couples have been married while scuba diving or up in a hot air balloon! The setting you choose is the stage on which the drama of your nuptials will play itself out. Do you envision an elegant formal wedding in a grand old cathedral with dinner and dancing afterwards at a stately ballroom? How about marrying in a peaceful garden, surrounded by lush flowers, greenery, and all your family and friends? Maybe your style leans more toward a quaint country chapel with the reception at a charming country inn. Hopefully, you have some idea of how many people you'll need to accommodate and what type of reception you want: a sit-down dinner with dancing, buffet, or cake and champagne only. This will give you some idea as to how big a space you'll need. The next critical factor in determining a wedding location is whether or not you want to have your ceremony and reception at different places, or whether you'd like the convenience of having them both at the same venue. This, in turn, will be decided by whether or not you want to have your ceremony in a house of worship, or are open to having it someplace else. When planning a religious wedding in a house of worship, the wedding location selection will depend on either your, your fiance's, or your family's personal affiliation with a particular church or synagogue. Keep in mind the location's distance from the reception venue, and its size and style in relation to your overall wedding plans. When considering locations, make sure the space will accommodate all your guests. However, don't select a large church or temple if there are very few guests. A small place of worship would be more intimate. Some houses of worship also have banquet or meeting halls that work well for a catered reception right there on the church premises, which will somewhat simplify things. Make sure to ask about it when researching the church or synagogue. It's also possible to have a religious ceremony in a secular location, as many officiants are willing to perform ceremonies at other locations such as homes, gardens, or hotels. Must we be members of the church, or may a friend sponsor us? What are the fees for the church or synagogue? And how much time does that allow us? Is there a small chapel available for smaller ceremonies? Are there any restrictions regarding ceremony attire, such as bare shoulders or yarmulkes? How many people will the church or synagogue hold? Is there a hall or social room available for a reception? If so, is there an additional fee? If you plan to serve alcoholic beverages or wine, be sure to inquire about the policies. Will they supply tables, chairs, linens, china, and silver? May rice, birdseed, or rose petals be thrown? SS* Are there accommodations for wheelchairs? Is an aisle runner, chuppah, candelabra, or kneeling cushion available, if needed? There are many beautiful old mansions that, over the years have been donated to cities or states and are open to the public for tours. Many of these mansions can be rented. The cost varies so check their fees and availability. There are also many museums, arboretums, and formal gardens that make beautiful settings for a wedding. To find locations available in your area check local newspapers and phone books, or call the chamber of commerce in your vicinity. If you're having a tough time coming up with the perfect place or are unable to settle on a style, visiting a variety of sites can be both inspiring and motivating. You'll need to move quickly, however, because the most popular spots are reserved anywhere from twelve to twenty-four months in advance. WhereBridesGo.com provides links to 26 local wedding planning sites in cities across the country. Check it out to see if there's one for your city! 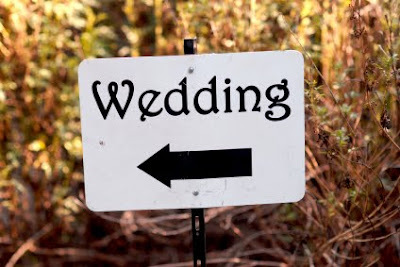 You'll find links to the best ceremony and reception venues in your local area! For the best themed wedding accessories, wedding favors, and bridesmaid gifts, visit the WhereBridesGo.com online storefront. Use coupon code BLOG to take 10% off your order.